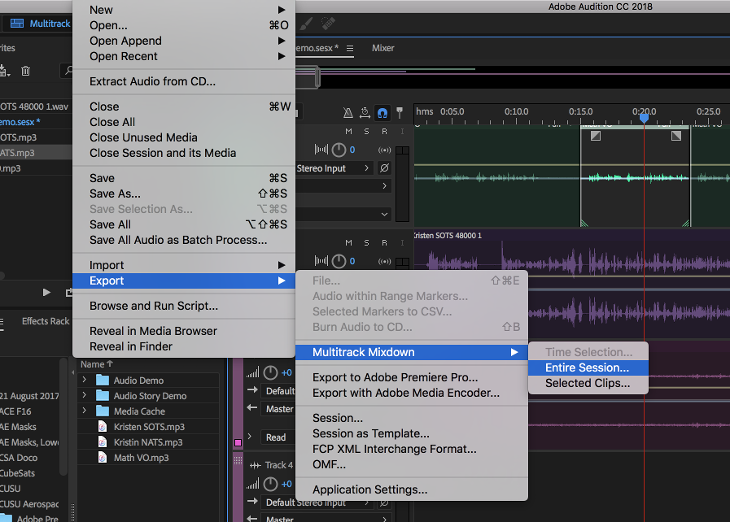 Audition CC is a comprehensive toolbox that includes multi-track and waveform interfaces to edit, mix, and restore audio content that will enhance your audio storytelling. The following tutorial will help you get started with basic editing instructions. Create a Project Folder in your portable drive and name it after your project. Note about saving: when you save the project on a community computer, other students will have access to all of your work. There is no guarantee that your work will remain intact unless you save it on your own portable drive. Collect your assets (audio files) and copy them to the Project Folder. You can even create folders within your Project Folder to help you find specific clips. But it's important that all of your assets are kept inside your Project Folder. In other words, all of your media relevant to this specific project should be kept under one roof. When you open a new session and import files to the project, the original file in your project folder doesn’t go anywhere. Importing simply links the file in your Audition with the original file in your project folder. Create a Project Folder and save all of your relevant media to that folder. 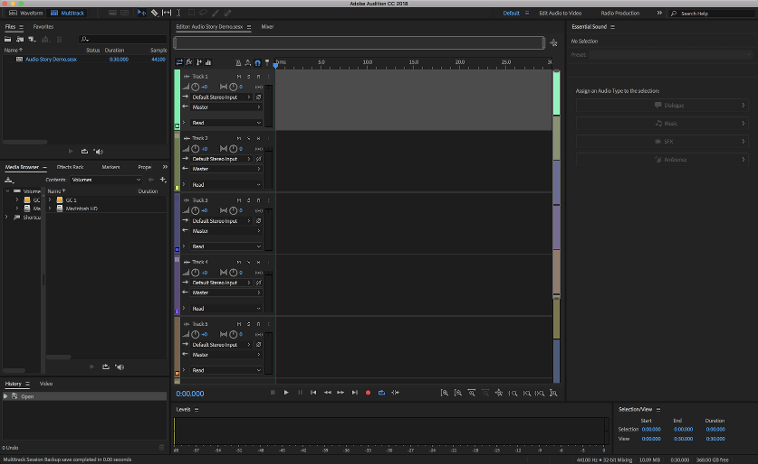 Choose which interface (workspace) to work in: the Waveform editor or the Multitrack editor. 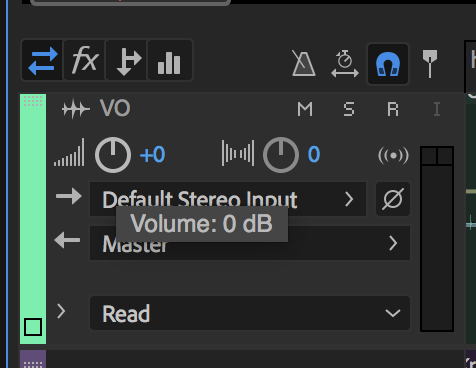 You can select by clicking on the file tab in the upper left portion of the interface where it gives you the choice between Waveform and Multitrack. 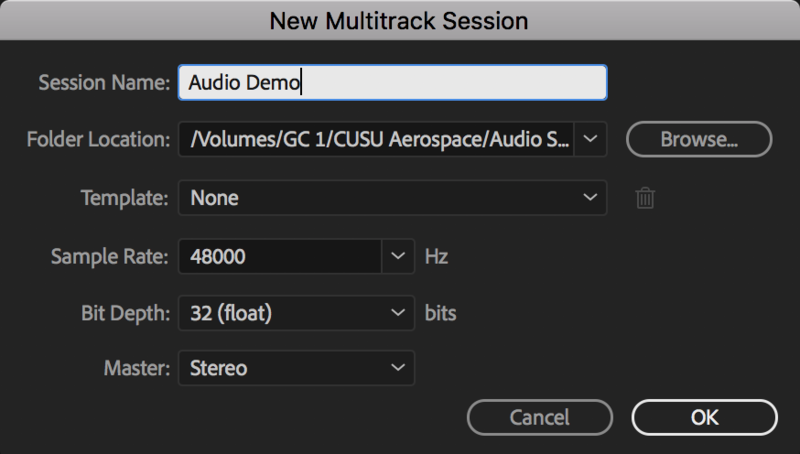 Note about the workspace: Students will use the Multi-track more often simply because this is the interface where audio clips can be layered in multiple tracks (or channels). 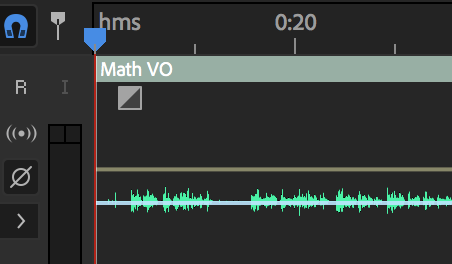 The Waveform editor, however, is a destructive audio editing area, meaning any changes you apply to the audio clip are permanent unless you undo the change using Command+Z. The Waveform editor also works with a single individual track. 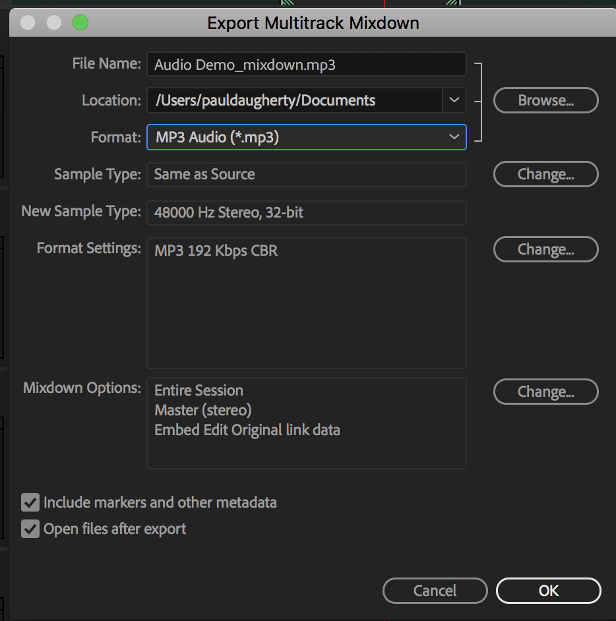 We recommend that you use the Multitrack editor, which enables users to move individual tracks around and apply changes to the audio that will not be destructive to the original source clip. When you select this editor, then save your Audition file to your Project Folder. The New Multitrack Session window will open where you can type in the name of your project, select where to save it (your Project Folder) and also you can change the sample rate. Many audio projects will work from 44,100 Hz range, while much of the audio in your video clips will use a sample of 48,000 Hz. In this example above, the Sample Rate is 48000 Hz, which means that the audio is being sampled at 48,000 slices per second through the audio waveform to reproduce the audio. This kind of sample rate is used commonly when reproducing audio in video clips. Music files reproduced for CD's are sampled at 44100 Hz. A clip that uses a higher sampling rate reproduces higher frequencies quite well. But higher sampling rates also require more computing power to reproduce the quality. If you start at a higher sampling rate, such as 48000 Hz, then chances are that when you compress audio at rates down to 44100 kHz, the audio quality will still remain high. Bit depth refers to each individual sample within the sample rate. shows a few options that include 8, 16, 24 and 32 (float) bit depths. 32 is called "floating point" and is highly accurate. A 32 bit floating point depth gives you a highly accurate interpretation of the sample being taken such that the audio that is reproduced will be practically indistinguishable from the original. 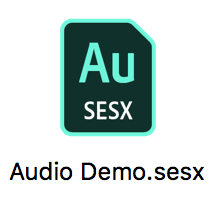 The suffix for the Audition file made using the Multitrack editor will be "sesx". The panel in the centre is called the Edit Panel and this is where you will be doing a lot of your work. The panel that is left of the Edit Panel is part of a panel group. To the left above there is the Files panel and the Favourites panel. The Files Panel is where you import clips and where your project file is also visible. The panel group below the Files Panel consists of several panels stacked onto each other that include Media Browser, Effects, Markers, etc. All the names of these panels won’t be visible at once, but click on the flyout arrow to the right of the tabs to see the other panels. When you import a file, the original file doesn’t go anywhere. Importing simply links the file in the Files Panel with the original file in your project folder. Select the Files Panel, then click File > Import > File and browse for the file you wish to import. Select the Files Panel and press on the keyboard Command + I to open the Import window. Click the Media Browser tab and then browse for your folder to find the clips. The Media Browser allows you to preview the clips before you actually import them. 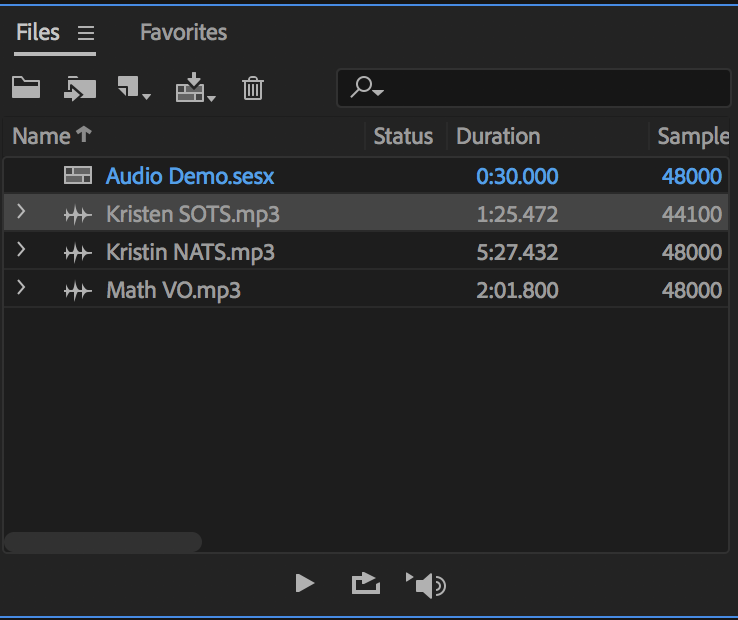 You can drag the clips from the Media Browser into the Files Panel directly above, or you can even drag the files directly to any of the Multitrack Session channels. At this point, when you import the file, don’t rename or change anything with the original source file in your project folder or you’ll break the link with what you imported to the Files Panel. If you break the link, then the file will go off-line until you can re-link it. 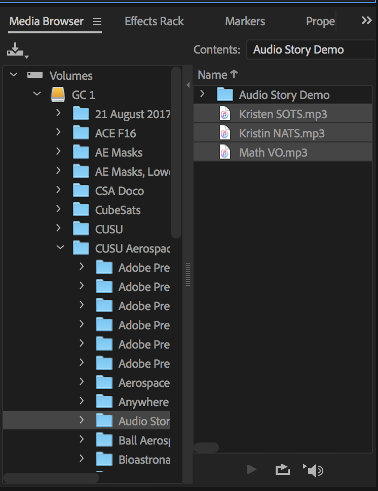 Simply drag the clip from the File panel to the individual tracks where you can build the story by layering the clips. To the left of each track you can change the name by simply clicking in the track name to highlight, then type a new name. 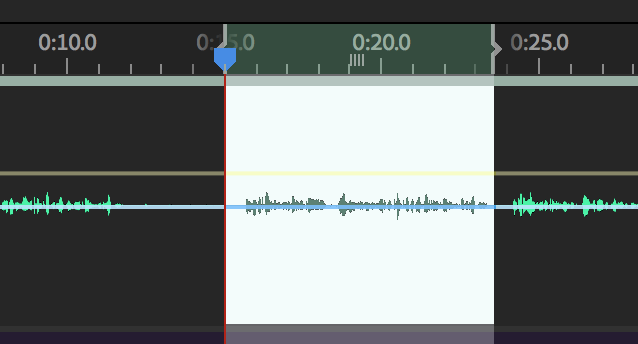 Press the play button at the bottom of the Multitrack window. All the tracks will play at the same time. Or you can play the clips by simply pressing the Spacebar. 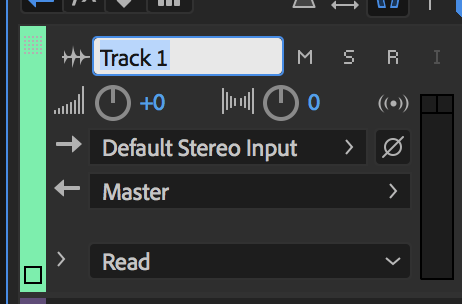 Click on the clip header and drag it to either a new position within the track or you can move it to another track. Simply click on the left or right edge of the clip and drag to reduce the length or to extend it. To extend or shorten a section of the selected range, simply drag the selection edges. To cut the selection out, use the Split tool, or Command+K. The clip within the range will be split. You can then move the clip independently from the rest of the clip. At the head of each track there is a volume control wheel that lets you drag out the desired volume for the clips in that track. In the Export window, name the file and set the destination where you want it to be exported. Select MP3 in Format. Then click OK.